Please review the following Radius Release Notes that highlight the features and fixes that are going to be released on Thursday, January 24 during the three-hour window of 6:00am to 9:00am PT. Please make sure to log out of Radius and log back in tomorrow to see all changes from this release. During system releases, users may experience interruptions to Radius; however, please know that our team works hard to minimize any interruptions to Radius usage or features. Radius User Account Creation**: When creating an employee who is given the title of Center Director, the user will be prompted to allow Radius to automatically create a user account for the employee. LP Manager: Learning Plans now load automatically in LP Manager after a student is selected. Referral Teacher: Referral Teachers are now considered in the Referral Report. Listen360 Reviews: Listen360 review requests have been sent out to Guardians successfully; however, Listen360 review responses were not being recorded in Guardian records in Radius. These responses are now available for users to see in the Guardian records in Radius. Progress Report Manager: Fixed issue in Progress Report Manager where Batch History was reporting the incorrect number of students who were currently active in the center. Student Birthday: Fixed issue where removing the birthday and saving a student’s birthday in their record would lead to an “Invalid date format” error. Assessment Progress Report: Fixed issue where the Center column was missing from the Excel export for Assessment Progress Report. Last Contacted: Fixed issue where the Last Contacted column on the Leads Management search grid was unable to sort. Step #1: A pop-up window will ask if you would like to create a Radius User Account for this employee. Step #2: You will have the option to click either “Create” or “Cancel”. 1. You will get another pop-up window to confirm the Username, First Name, Last Name, and Email Address (which will always be the center’s email address). 2. Once you click “Create” in this pop-up window, a registration email will be sent to the center’s email address. 1. 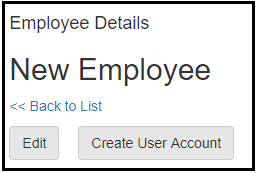 The pop-up window will not display again while you are on the Employee Details screen. 2. 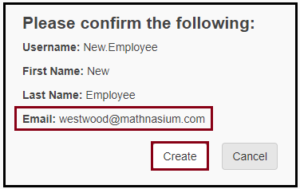 You may create a user account later by clicking the “Create User Account” button on the Employee Details screen. 3. If you decide to create a user account for an employee with a Hire Date in the future, Radius will automatically create an account for you on this Hire Date. A registration email will be sent to the center email address on that date. 2 users comments for " RADIUS RELEASE NOTES: Upcoming Release on 01.24.19 "
When will a “Payments” section be added to the Radius Guide under Existing Customer Tasks? We are not using quickbooks and it would be nice to have a section to walk you through the payments process & what to do for situations like discounts, partial payments, credits, etc. The Radius tutorials in MU don’t include this and the ones in Radius don’t work anymore, but when they did, there was only one regarding the ‘View Payments’ section of accounts. Thank you, Michelle. We understand that you were able to get assistance from our one of our Support Team members to answer your questions regarding applying fees and credits. We are in the process of updating our Radius Guide. We will announce on Matters when the updated version is available.